CopyQ is an open-source clipboard manager software with editing and scripting features. It monitors system clipboard and saves its content in customized tabs. 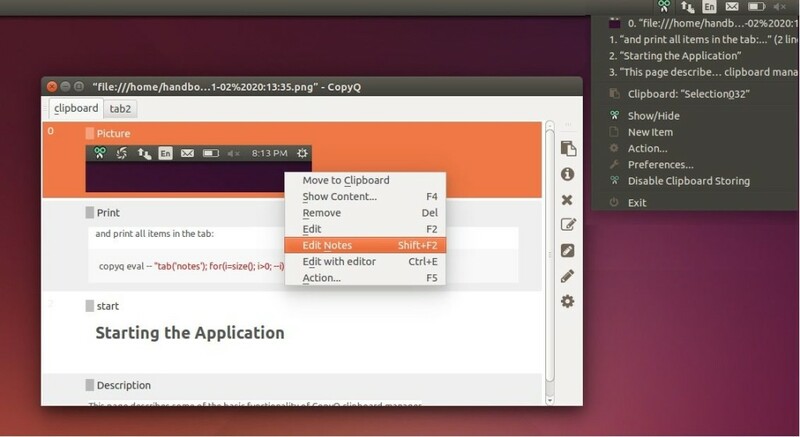 Saved clipboard can be later copied and pasted directly into any application. The software has an official PPA repository that contains the latest packages for Ubuntu 14.04, Ubuntu 16.04, Ubuntu 17.10, Ubuntu 18.04 so far.